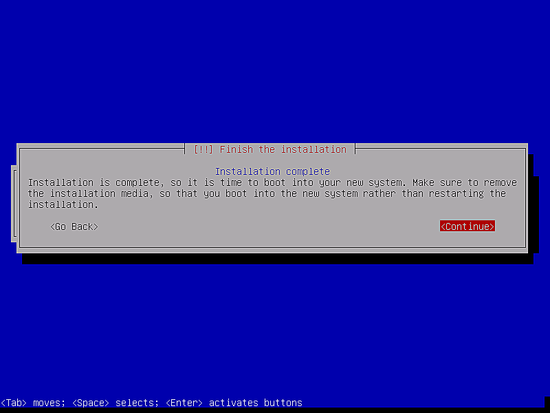 It might be that the following screens pop's up, depending on your install media. 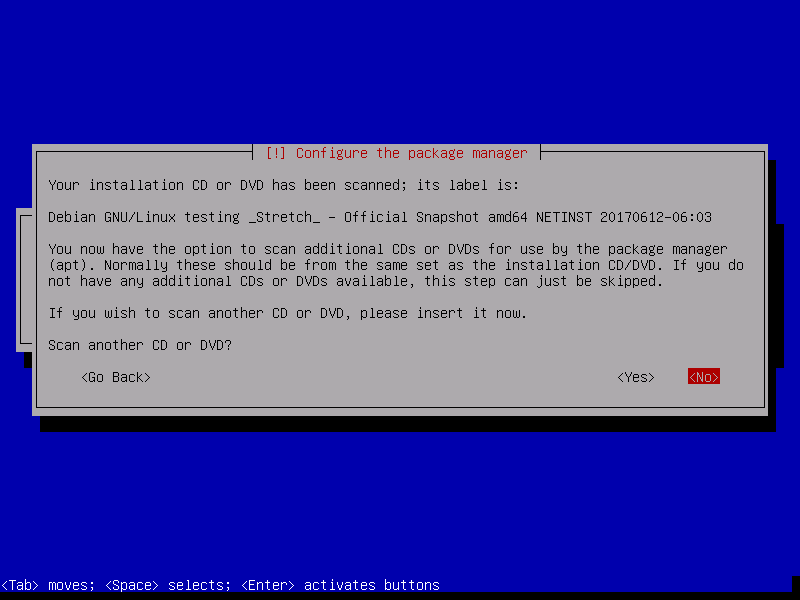 I will do a network based installation (all additional installation packages get downloaded from the internet), so I choose here to not scan any additional install disks. 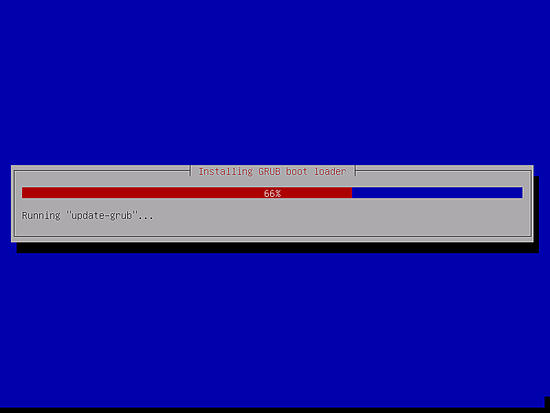 The installer might ask you in which partition Grub shall be installed. 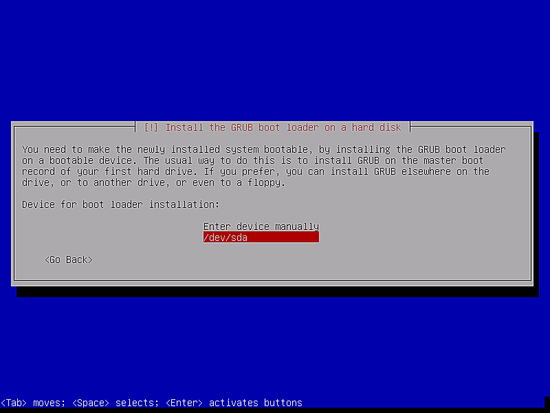 This server has just one hard disk, so I choose /dev/sda here. 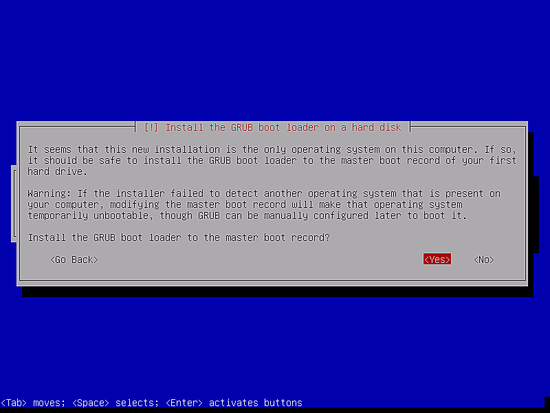 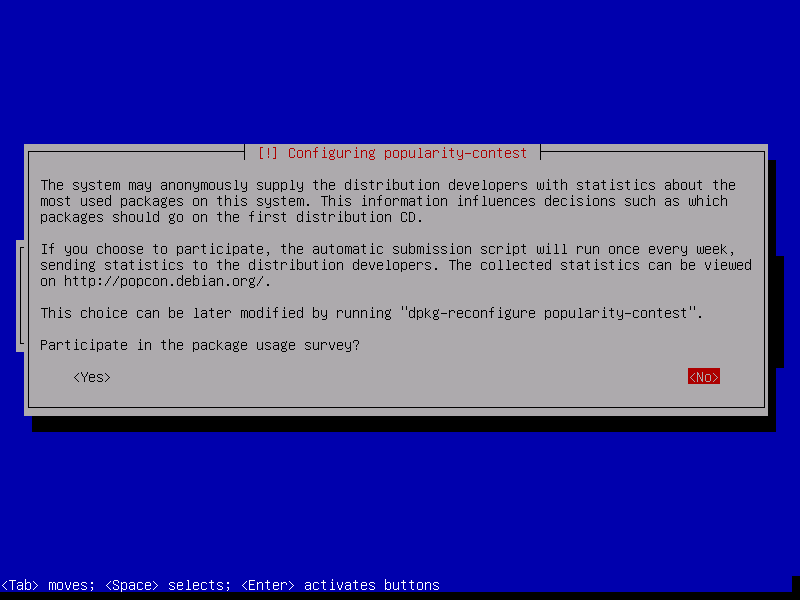 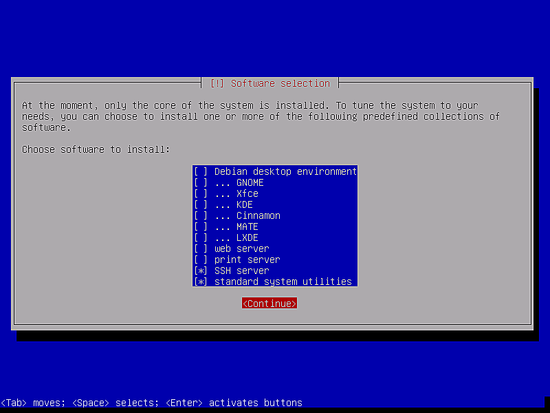 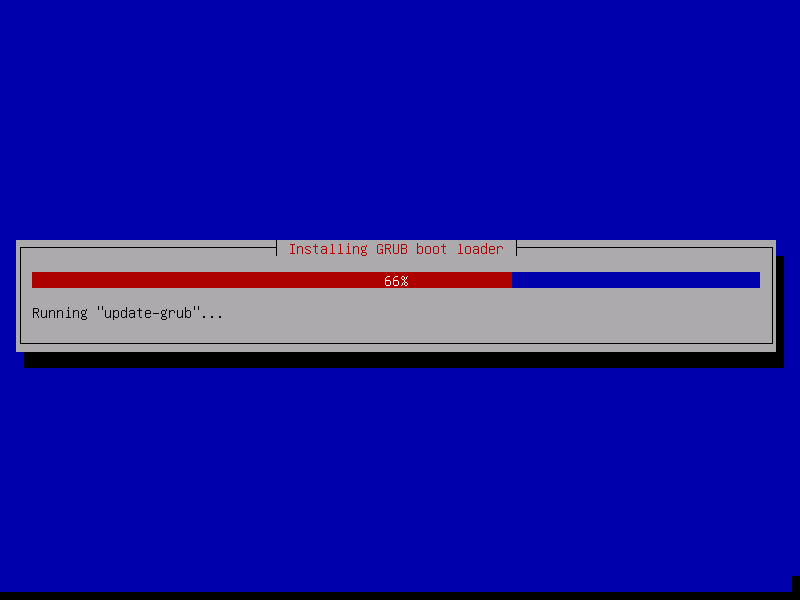 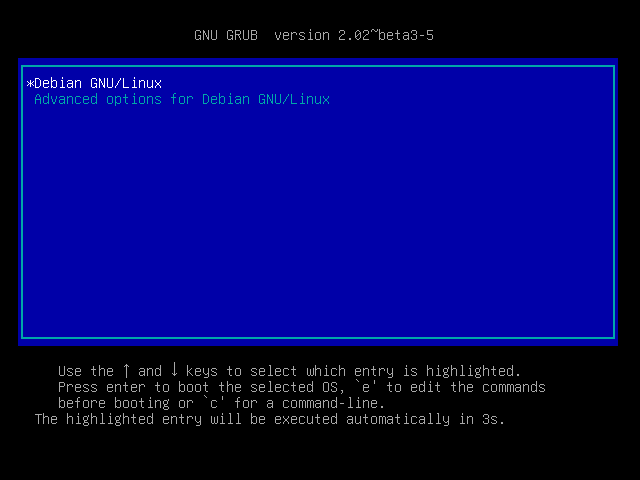 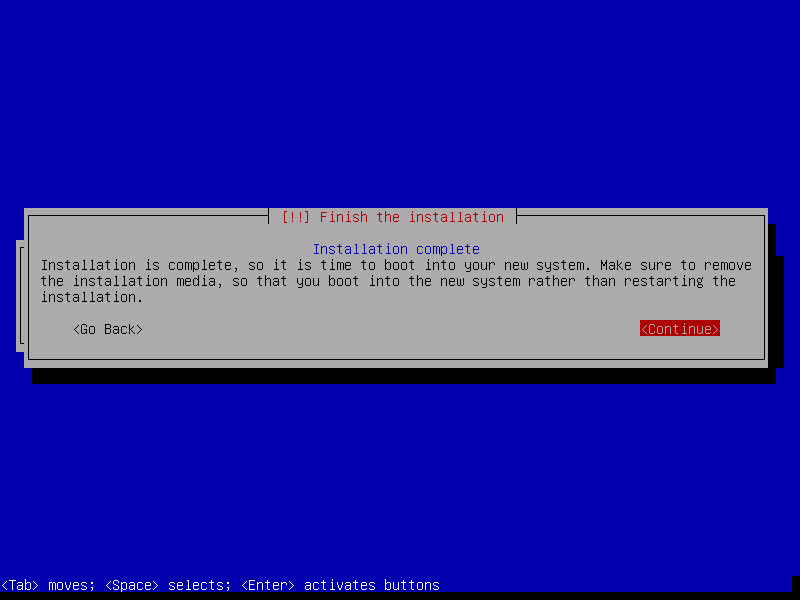 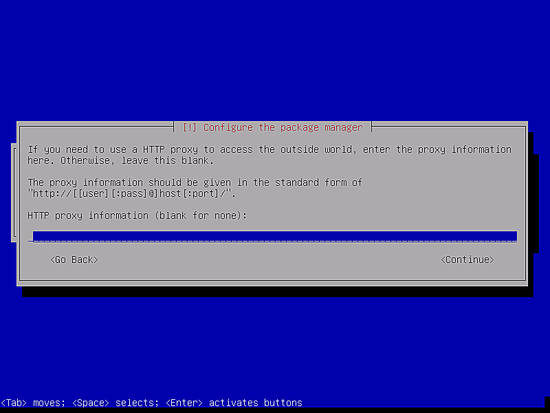 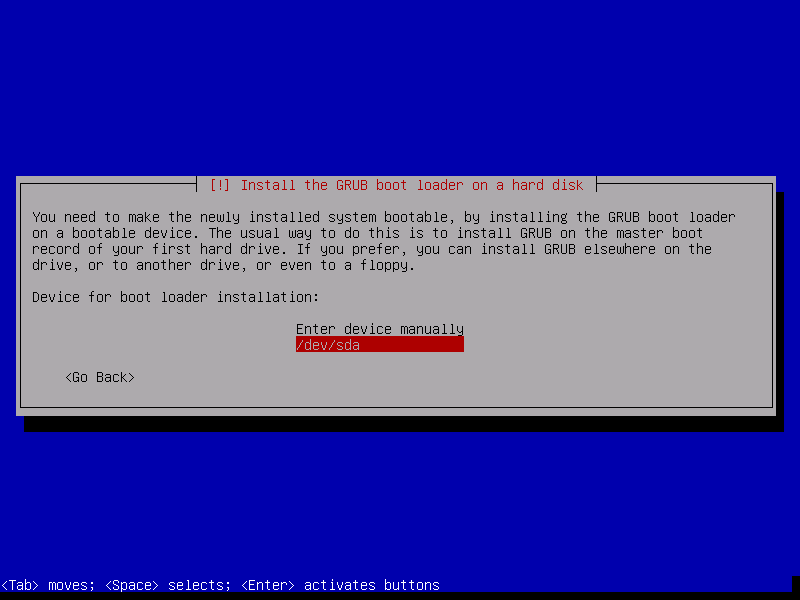 The first boot of the newly installed Debian 9 server: first you will see the boot screen of the Grub Boot Loader, press enter or wait a few seconds, the boot process will continue automatically. 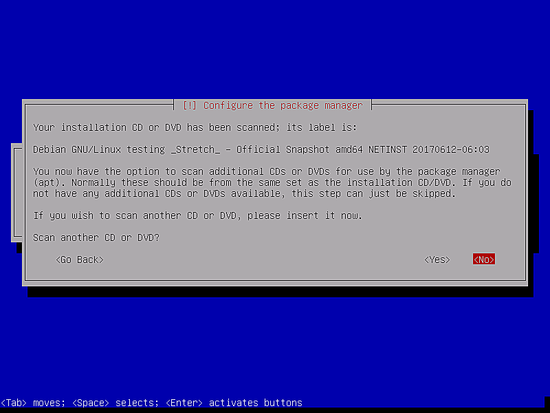 First, make sure that your /etc/apt/sources.list contains the stretch/updates repository (this makes sure you always get the newest updates), and that the contrib and non-free repositories are enabled.